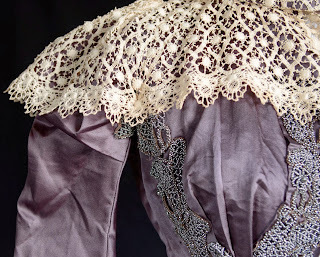 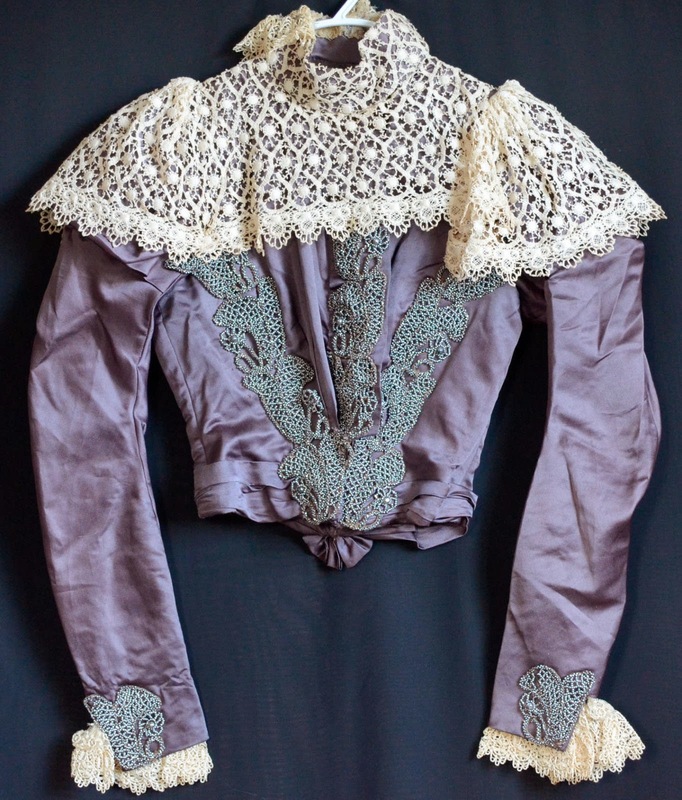 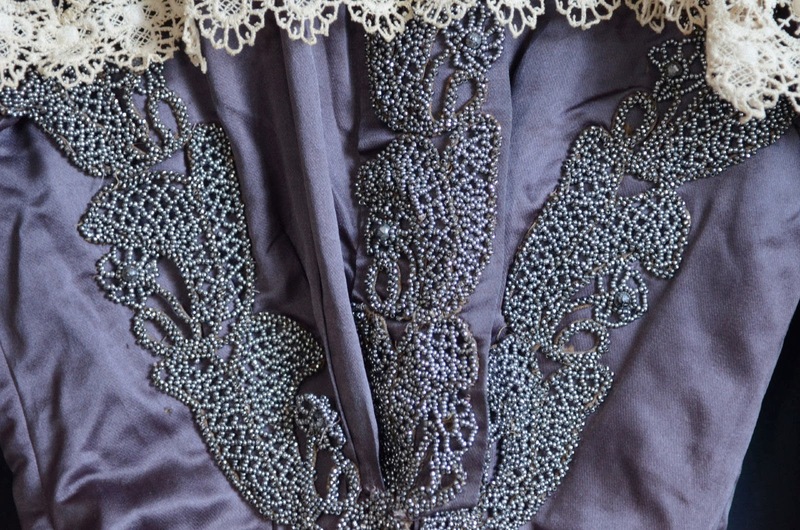 This antique Victorian silk, lace, and steel cut beaded bodice is a rare and unusual piece! 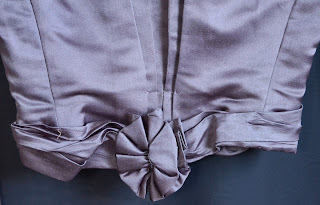 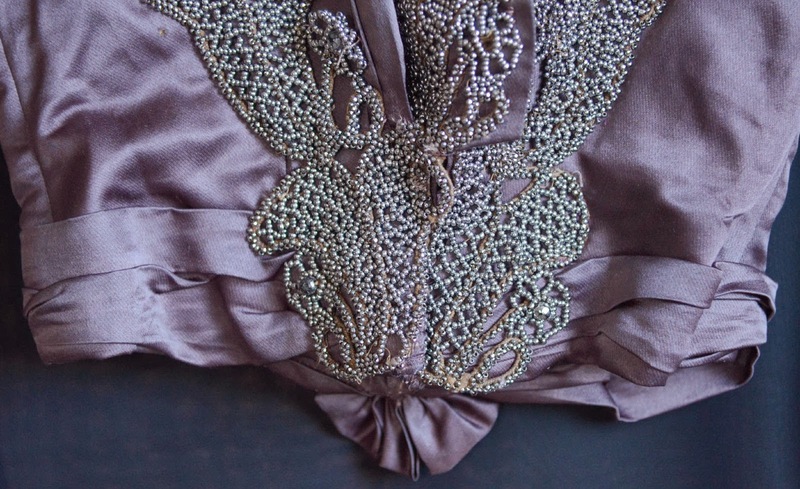 The lavender silk is heavily embellished with the most amazing steel cut hand beading. 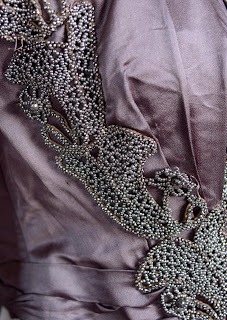 I can't even imagine how much time was spent on the beading alone! 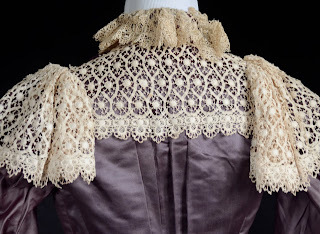 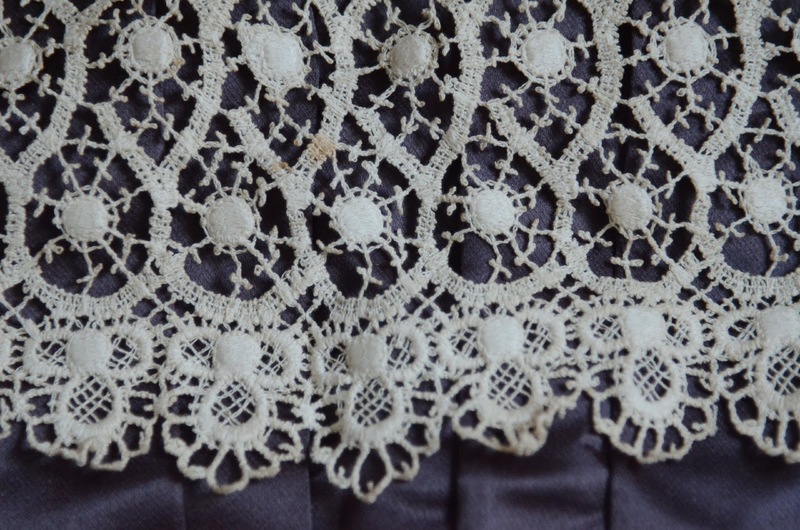 The sumptuous lace at the neck, yoke, shoulders, and bottom of the sleeves is just beautiful. 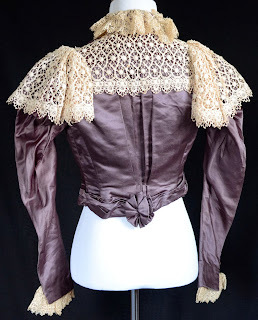 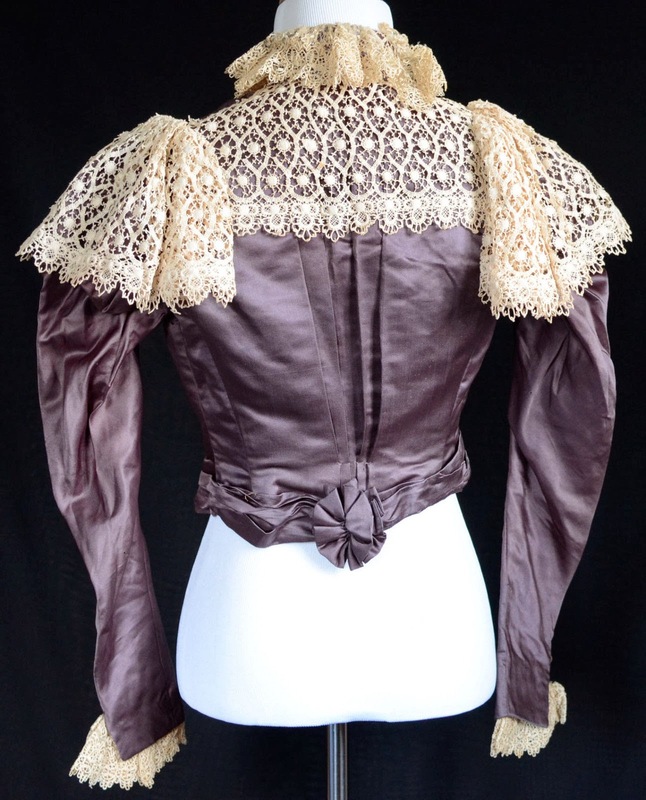 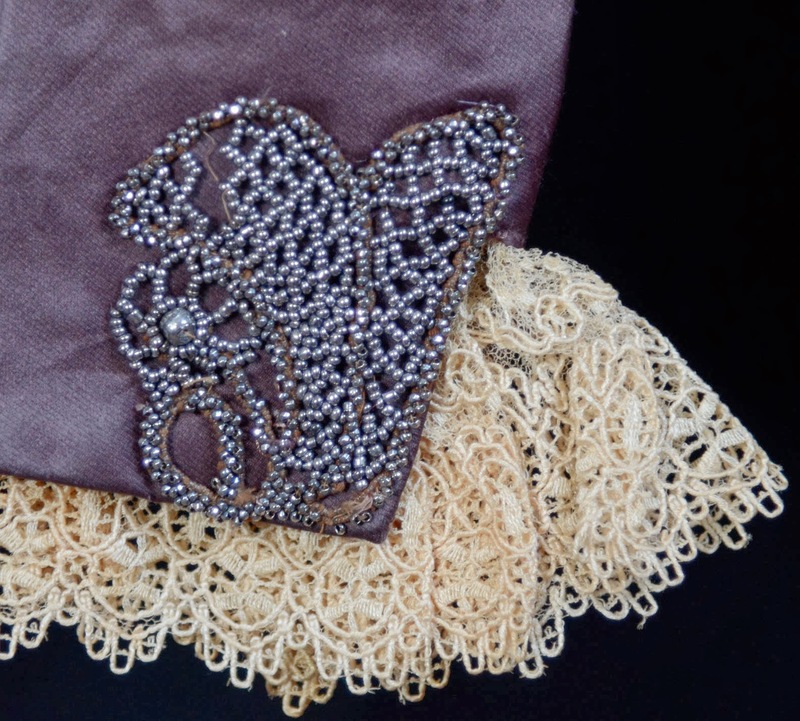 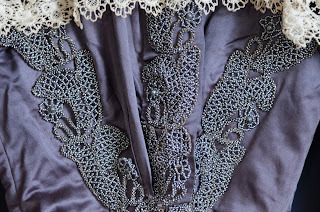 This bodice is definitely the most elaborate one I've ever come across, and is an exquisite example of the time, talent, and handwork that went into these vintage treasures! 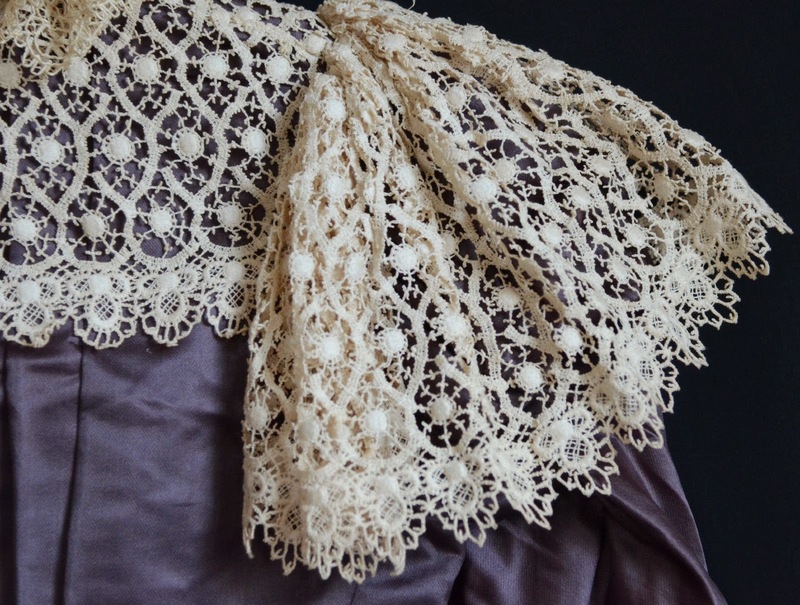 This is a piece that would be a fabulous addition to your collection, and would be a gorgeous piece for display! 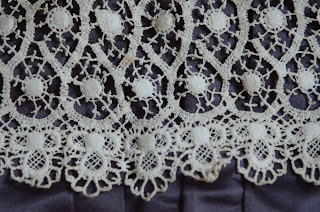 Sleeve length - 23 1/2"